People closer to the Earth and the plant spirits knew a lot about food and medicines. Five hundred years after Columbus we have yet to develop one staple crop from the wild, we have merely worked from existing genetic materials provided to us by indigenous people who can trace their beginnings to early wildcrafters communing with plant sprits in magical savannahs in an effort to feed themselves and their communities. Rewilding has many dimensions as science and our society explores a more wild perspective, but what does the true essence of the word really mean? As food, medicine and our planet transitions it will become important for everyone to better understand the long view of what returning to a more wilder idea of things really means. To understand rewilding is to better understand how we moved out of the wild in the first place. A long time ago early hunter gathers began to advance their knowledge about propagating plants for food and medicine. Early wildcrafters began to burn forests to create edge areas that we often refer to as savannahs. These savannahs thrived, with many species including humans being able to dart in and out of the forest which they used as shelter from the open meadows which carried larger game. These areas were rich in biodiversity and over time presented opportunities for early humans to begin one of the most important aspects in the development of civilization – plant breeding. For these early wildcrafters it was hard to imagine isolating a food crop that was naturally growing in dense ecosystems rich with other plants and trees, but through a miracle of observation they began to companion plant certain plant species that would lead to a greater yield and the understanding that they could further influence the natural landscape – which would eventually lead to the development of agriculture. In North America, indigenous people learned to plant three main crops that provided food staples, these were called “The Three Sisters” and included squash, maize (corn), and climbing beans (typically tepary beans or common beans). By companion planting these three crops close together they realized abundant efficiencies. They created flat-topped mounds of soil for each cluster of crops. Each mound was about 30 cm (12 in) high and 50 cm (20 in) wide. Several maize seeds were planted close together in the center of each mound. In parts of the Atlantic Northeast, rotten fish or eels were buried in the mound with the maize seeds, to act as additional fertilizer where the soil was poor. When the maize was 15 cm (6 inches) tall, beans and squash were planted around the maize, alternating between the two kinds of seeds. The process to develop this agricultural knowledge took place over 5,000–6,500 years. Squash was domesticated first, with maize second and then beans being domesticated. Squash was first domesticated 8,000–10,000 years ago. The three crops benefit from each other. The maize provides a structure for the beans to climb, eliminating the need for poles. The beans provide the nitrogen to the soil that the other plants utilize, and the squash spreads along the ground, blocking the sunlight, helping prevent establishment of weeds. The squash leaves also act as a "living mulch", creating a microclimate to retain moisture in the soil, and the prickly hairs of the vine deter pests. Maize lacks the amino acids lysine and tryptophan, which the human body needs to make proteins and niacin, but beans contain both and therefore maize and beans together provide a balanced diet. Original North Americans cultivated a wider variety of plants than their European counterparts and in many cases were more advanced as they domesticated plants. These crops have a rich history as they transitioned to the foods that we consume today. Many of those original wild plant ancestors have disappeared, maize for example was once a very small grass-like plant with small kernels that could be carried by the wind; today every maize plant that grows anywhere is the domesticated variety, which if not planted by humans, would more than likely become extinct. There are growing indicators that are telling us that we are losing something as we breed out, alter and now even genetically modify domestic food crops farther and farther away from their original wild ancestors. The question becomes how do we turn the clock back in order to discover the biodiversity that we have lost? Scientists are now suggesting that rewilding their approach to modern food crop research may have significant impact on the future of food. Agricultural decisions made by our ancestors more than 10,000 years ago could hold the key to food security, according to new research by the University of Sheffield. The research is looking at why the first arable farmers chose to domesticate some cereal crops and not others, by studying those that originated in the Fertile Crescent, an arc of land located in western Asia reaching from the Mediterranean Sea to the Persian Gulf. Researchers grew wild versions of what are now staple foods like wheat and barley along with other grasses from the region to identify the traits that make some plants suitable for agriculture, including how much edible seed that these grasses produced. Dr Catherine Preece, who worked on the study with colleagues from the University's Department of Animal and Plant Sciences and Department of Archaeology, said: "Our results surprised us because numerous other grasses that our ancestors ate, but not in our diet today, can produce just as much seed as wild wheat and barley. It is only when these other grasses are grown at high densities, similar to what we would find in fields, that the advantage of wild wheat and barley is revealed." The study identified two key characteristics shared by the wild relatives of current crop plants. Firstly they have bigger seeds, which means they grow into bigger seedlings and are able to get more than their fair share of light and nutrients, and secondly, as adult plants they are less bushy than other grasses and package their big seeds onto fewer stems. This means wild crop relatives perform better than the other wild grasses that they are competing with and are better at growing close together in fields, making them ideal for using in agriculture. "The results are important because our expanding human population is putting increasing demands on food production," said Dr Preece. "Before humans learnt how to farm, our ancestors ate a much wider variety of grasses. If we can understand what traits have made some grasses into good crops then we can look for those characteristics in other plants and perhaps identify good candidates for future domestication." She added, "To shape the future we must understand the past, so the more we can discover about the origins of agriculture, the more information we will have to help us tackle the challenges that face modern day food production." So far the researchers have been conducting their experiments in greenhouses and their results indicate that the traits affecting how plants compete with each other are crucial factors to determining the success of a crop. The team now plans to observe how the plants interact in their natural environment by growing them in experimental fields in Turkey, the heart of the Fertile Crescent. They hope that their experiments will yield further important results. 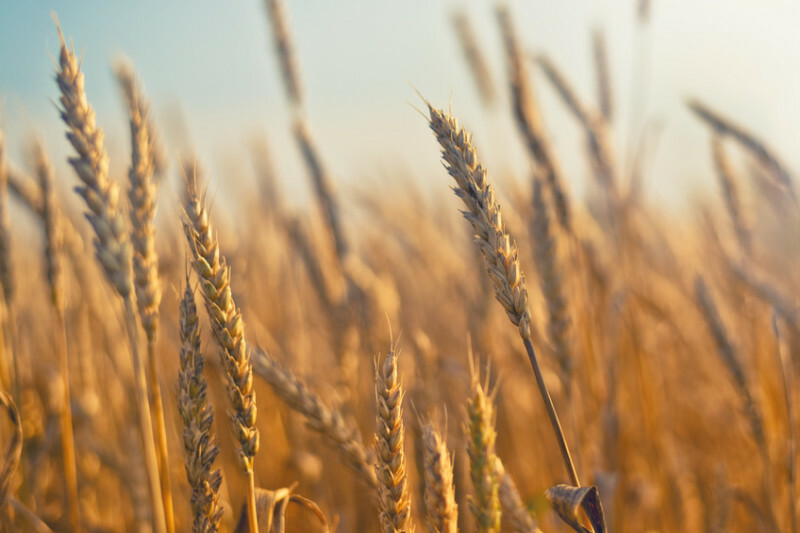 "Cereal breeders are taking an increasing interest in modern crops' wild relatives as a source of useful traits that may help to increase yields or increase resilience to climate change, and our work should help in this process," said Dr Preece. Can returning crops to their wild state help feed the world? To feed the world's growing population--expected to reach nine billion by the year 2050--we will have to find ways to produce more food on less farmland, without causing additional harm to natural habitat. Recently some scientists are discovering that they can rewild by genetically engineering plants. They have found that there is an opportunity to intensify agriculture by fixing what they believe are the weaknesses that have sprung up quite by accident within the process of traditional crop breeding that transpired over the course of thousands of years. Michael G. Palmgren of the University of Copenhagen and his colleagues suggest that the most efficient way to regain those lost properties is by reinserting good genes back into our crops after isolating them from related plants or by using precision methods to repair the plants faulty genes. "Once the genes that have been mutated unintentionally have been identified, the next step would be to reestablish wild-type properties. Rewilding would allow crop plants not only to better utilize available resources in the environment and have higher nutritional value, but also to better resist diseases, pests, and weeds," says Palmgren. Palmgren notes that a discussion about which products should be labeled as GMOs is necessary. "It may be useful to distinguish between the product (the plant) and the process (the breeding technology)," he says. If a crop regains beneficial properties of a wild relative, such as disease resistance, it makes little sense to consider one plant as natural and the other as alien purely based on the method used to reach the same end result. The bottom line for Palmgren is this: the plants we eat and depend on are not the same as those originally found in the wild, whether they've been genetically modified or not. "Reintroduction of some of the lost properties does not make our crops alien," he says. So is their an ethical perspective attached to “rewilding”? There are still savannahs and they may still be rich in biodiviersty – sometimes. In many places today savannahs are fenced and cross fenced and have less to do about a rich number of species darting in and out of the edge of the forest and more about protecting a mono-crop whether that be a heritage wheat or a GMO maize. Rewilding as a popular term seems to be more about human consumption than about returning a wild species back to support a natural ecosystem. Within the context of its original terminology, rewilding means to return to a more wild or natural state; it is the process of un-doing domestication. The term originates in conservation biology in which "rewilding" stands for the re-introduction of keystone species into areas where such species appear locally extinct. Rewilding in the anarchist context applies this concept to initiating and regenerating human culture that embodies the role of a keystone species. So rewilding really isn’t about turning ancestral varieties of foods into industrialized food crops. It might be more about coming closer to nature-based food by propagating it and growing it so that nature comes first, with human consumption being secondary. By studying the process of ancient plant breeding we can gain insight about how wildcrafting transitioned to farming and industrialized agriculture. Within indigenous cultures there is an ancient understanding of plant spirits which always include the ancestors of the plant. The plant-to-human relationship is always a direct one. In the America’s, native people had neither draft animals, nor the plow, they used direct physical labor working with nature not against it. To this day the native Peruvian farmers during the time of the Incas, cultivated more kinds of varieties of food and medicinal plants than any contemporary agricultural society on Earth. They grew 20 varieties of maize, 240 varieties of potato some of which could grow an elevations of 15,000 feet, numerous varieties of beans, peanuts, cashews and cotton, and the list goes on. The Maya, Toltec, Aztec, Hopi, Cherokee, Iroquois and Huron represent a short list of native people who would together shape the diet of today’s world. Rewilding should bring us closer to the “whole” of nature and not just to expand our human need to consume. As food, medicine and our planet transitions we should be building biodiversity and shadow biodiversity into our understandings of what is healthy and what is not. This would help us to better understand the long view of what returning to a more wilder idea of things really means. The idea of “rewilding” has captivated the interest of scientists as they seek to understand biodiversity and various human interactions with the natural world. Rewilding has also made its way in the mainstream lexicon as a concept where a community or an individual can bridge their lifestyle closer to nature – which includes food, medicines and the environment.